Offering temporary custom wardrobe storage wherever you need it, this lightweight, portable clothing wardrobe with magnetic doors easily rearranges to fit your needs. Creating extra storage in bedroom, laundry room, guest room, basement or closet, it features two magnetic-close doors with handles for easy opening—offering up to four shelves, depending on how you utilize its two drawers. Protecting garments from dust, dirt and pests, the freestanding wardrobe storage is crafted of wipe-clean canvas with sturdy steel frame and 27″ long hanging rod. 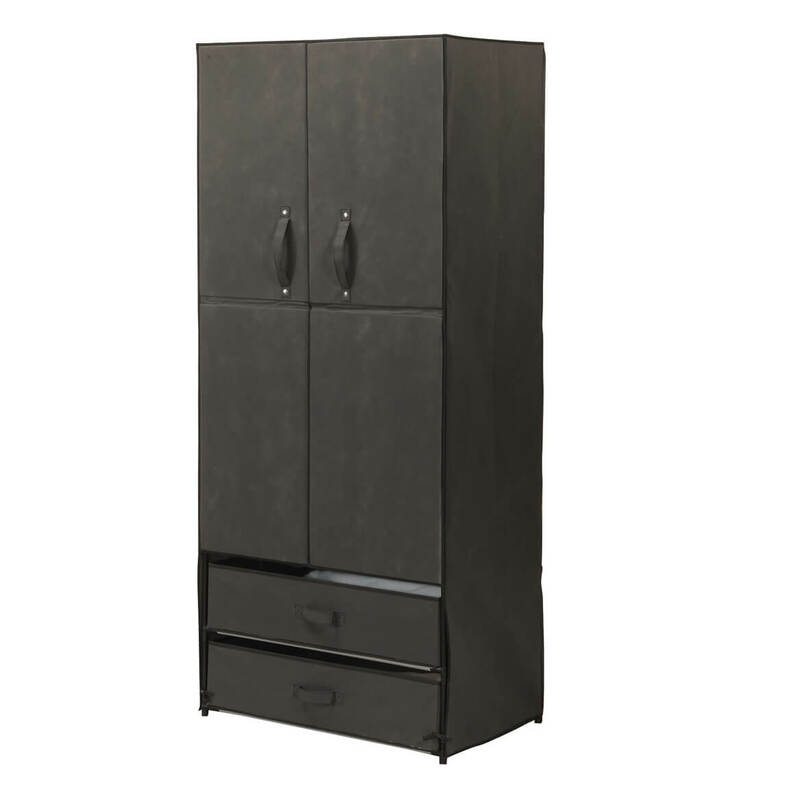 Portable wardrobe measures 68″ high x 17 7/8″ wide x 28 3/4″ long overall; disassembles to fit under bed when not in use. Drawer units: 27 1/2″ long x 17 1/4″ wide x 6 3/4″ high. Shelves: 27 1/4″ long x 17″ wide x 3/4″ high. No express shipping. *Additional $5 shipping will be applied.